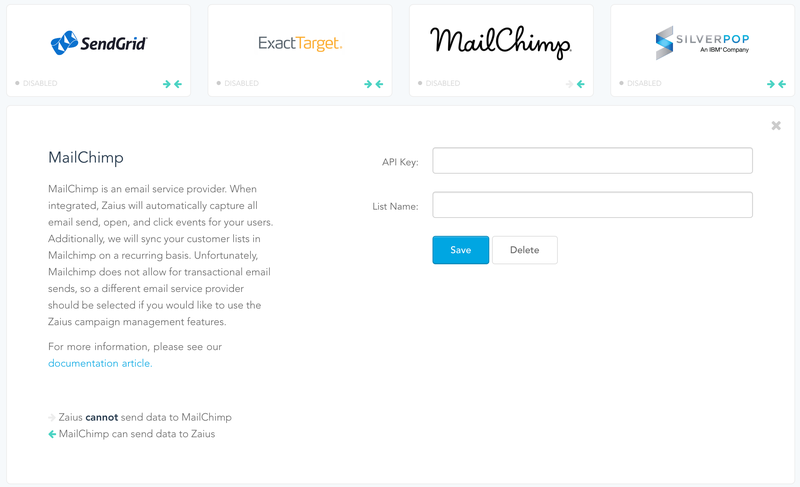 Zaius configuration with MailChimp is simple to perform and involves providing Zaius with your list name and an API key. 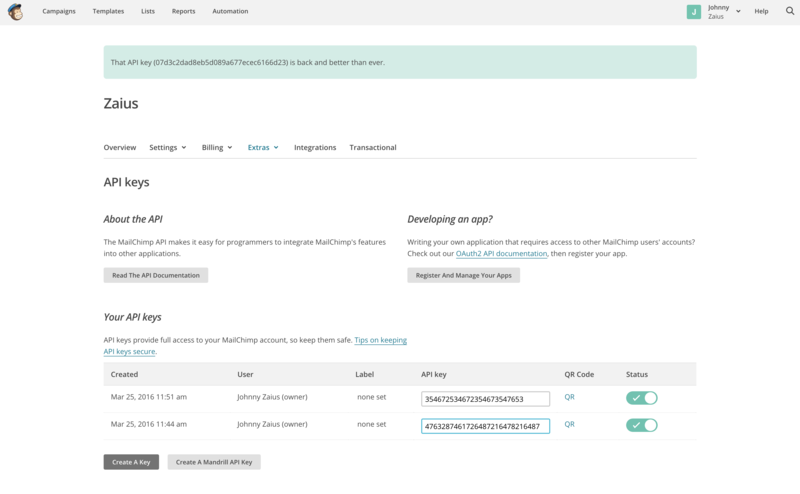 Login to your MailChimp account and select "Account", "Extras" and then "API Keys". Generate an API key via "Create A Key"
Paste the API key into Zaius, along with your list name. Click save. Mailchimp will pull data into Zaius for all campaigns that were sent in the last 60 days (regardless of mailing list), and then looks back 7 days for each new campaign on first run. All customers who are on the specified mailing list, and all customers who have received an email from one or more of the campaigns which have been pulled into Zaius. Subscribed/Unsubscribed information is only synced for the specified list, not globally. If you need global subscribe/unsubscribe data, this will need to be imported manually. This integration will run at the start of every hour, pulling in new information from MailChimp.